Hi, where did you find this mirror/cupboard shelf? thanks - . Sorry for the delay in responding - no, it's not from Reece, it was custom designed to fit the space and made by the project joiner ! 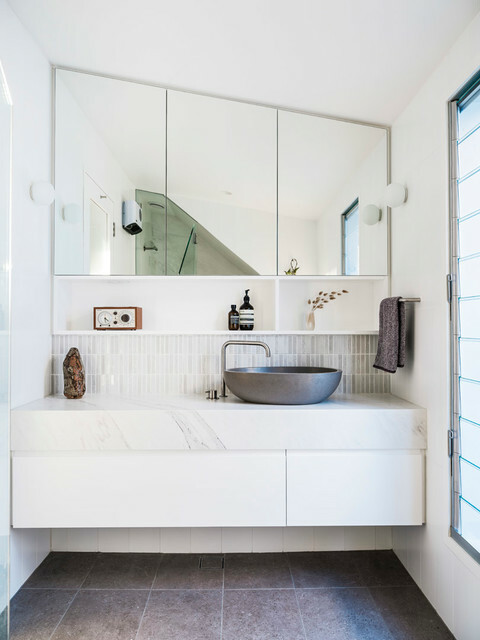 The bathroom is simple and elegant with a porcelain vanity top, tiled splashback and reconstituted stone basin.